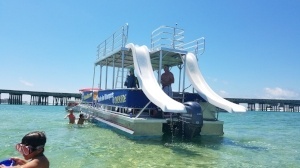 Double Fun Watersports was a Silver Winner in the 2017 Finest on the Emerald Coast Awards. Readers, aka voters, helped us take home the Silver in the Recreational Rentals category. Sponsored by www.nwfdailynews.com, the 2017 Finest on the Emerald Coast Awards “celebrates the best businesses, organizations and people” that their readers believe “deserve to be named the best.” Approximately 140,000 voters helped choose the 2017 Finest winners.